It was 1936 when Vitale Bramani, Academic member of the Club Alpino Italiano, the day after a mountaineering expedition which ended in tragedy for several people, started to think of a way to drastically improve the level of safety in mountaineering shoes. So, in 1937 the Vibram Carrarmato was born, the first vulcanised rubber sole for alpinism, a perfect solution for grip, traction and durability. Symbol of the Made in Italy genius around the world, the Vibram soles have revolutionised the standards of performance and safety in the mountains just like in the city and in any other environment. Today Vibram is leader in the development and production of high-performance soles and is getting ready to celebrate this year the 80° anniversary of the famous Carrarmato design. Accordingly, 2017 will be the right moment for the company to go over its story characterised by innovation and research, that enabled it to reach the highest levels in the shoe industry, setting the standards for safety and grip in the whole sector. In line with the values of its founder, Vibram is now looking for new finished or semifinished products to be realised through the revolutionary Luxury Rubber “leatherette rubber sheet”, the result of many years of study and experiments, a thin Vibram Morflex sheet with a look very similar to leather (hence the Luxury term), which preserves the performance of the Vibram Rubber (see technical info hereafter). The technological evolution given by this material enables the approach of new markets and product typologies yet to explore, that Vibram would like to discover with your creativity, through a multi-phase contest. In the first phase of the contest, you are invited to suggest new product ideas and concepts to be realised through the revolutionary Luxury Rubber “leatherette rubber sheet”, while in the second phase you will be invited to further explore and develop into specific products the winning concepts of the previous phase. In order to share all its passion and attention for the technological research and development, Vibram will grant the winner of the second phase, in addition to the award, the chance to attend a workshop at the Vibram Technological Center in China, where she or he may closely follow the development of her/his own project. Present context: after years of experience and research, Vibram has become leader in the production of high-performance rubber soles, entering several market sectors, from mountaineering to running, from trekking to city, from safety at work to the most extreme requirements, setting the standards for the whole world of soles. Starting from this very technological excellence, Vibram has kept on exploring the potential of its know-how, launching on the market highly innovative and revolutionary products, like the well known Vibram FiveFingers. Objective of the contest: starting from the present context, you are invited to suggest new ideas or concepts for finished or semifinished products also outside the shoe industry, investigating in depth the potential of the innovative Luxury Rubber “leatherette rubber sheet” (see the “Luxury Rubber characteristics” paragraph), preferring those products that are more in line with the Vibram heritage, possibly exploring also new environments and sectors that Vibram has not entered yet. Product typology (ideas and concepts): the concepts of the products you suggest, be they finished or semifinished products, shall be realised with the Luxury Rubber “leatherette rubber sheet”, taking full advantage of the distinguishing features, giving it the main role in your project. The proposals shall not necessarily regard the only shoe industry, but will have to be applicable to the environments already explored by the company or approach new markets, always respecting and complying with the Vibram values and brand identity. Luxury Rubber characteristics: the Luxury Rubber is an open-cell rubber foam (density 0,3gr cm3), available as sheets measuring about 120cmx70cm and 2mm thick (the thickness might be increased upon request, but cannot be reduced). To date the available colours are 4 (black, tobacco, cream, brick) but you may suggest other colours as well. The Luxury Rubber is a waterproof material. Processing technologies: the Luxury Rubber can undergo several processes: cutting – which must be sharp (with dies), gluing, sewing – with wide stitches using an “R” needle (no monothreads or monofilaments) – and thermoforming. No surface working is required, but it may be requested at your discretion. Target: your ideas and concepts shall be focused on a B2C market, taking into consideration segments coherent with the Vibram heritage. Values to convey: your projects should take into account the values of the Vibram brand, conveying the values of innovation, attention for the best quality, consumer oriented approach, performance and durability of the products. Deliverables: upload all the images that better present your projects (rendering, descriptions, CAD files, etc.) and, if necessary, remember that you can also attach a .zip archive containing extra materials. Don’t forget about the abstract and description to give further info about your projects. 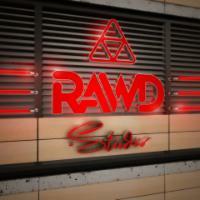 You can submit as many entries as you like! 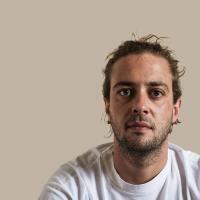 Participation is free of charge and open to designers and creative talents of any nationality aged 18 years or older. Participants can present one or more projects, but only the projects published on the www.desall.com web site, via the upload page related to “Vibram Rubber Skin Attitude” will be accepted. The selection of the winner by Vibram will be the result of an unquestionable evaluation and it will take into account originality, feasibility and consistency with the brief presented. 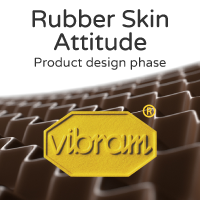 Do you want to stay updated about "Vibram Rubber Skin Attitude"? Winner of the previous phase. The following brief is focused on this work. New product design contest on Desall.com: in the second phase of the contest Vibram and Desall invite you to design a new line of backpacks, bags and other containers equipped for mobility, further developing the concept of flexibility of use, foldability and mechanical expansion of the Luxury Rubber. In the previous phase of the contest, Vibram addressed the community of designers to research ideas and concepts of products realised with the revolutionary Luxury Rubber “leatherette rubber sheet”. In this second phase, once again open to all, you are invited to develop the product design of a new product branded by Vibram belonging to backpacks, bags and other containers equipped for daily and/or performative mobility, further developing the concept proposed by Antonino Ciuro, winner of the previous phase, that consists in the use of a folding system inspired to the Japanese origami culture, that enables the foldability and expansion of the Luxury Rubber which was applied, in that project, to a backpack. Please refer to the Material files for details about the winning project. Aim of the contest: the participants of the second phase are invited to develop and further study a system for folding and expanding the Luxury Rubber, proposing technical solutions inspired by the concept suggested in the proposal of the winner of the first phase (see Material files ), applied to a new finished product, belonging to backpacks, bags and containers equipped for the daily and/or performative mobility. Values to convey: your projects should take into account the values of the Vibram brand, that is: innovation, attention for the best quality, consumer oriented approach, performance and durability of the products. Deliverables: upload all the images that better present your projects (rendering, descriptions, etc.). For a better evaluation of your project you are invited to attach the 3D files in .stp/.igs format inside a .ZIP archive to attach directly from the upload page. At your discretion, you may include inside the same .ZIP archive other materials (ex. PDF, high-res images, etc.). Concept revision: deadline for requiring an optional revision on your project by the Desall team. In order to request a revision, save your project as draft and send your request via e-mail or through the contact form. The revision is NOT mandatory (it serves as a clarification opportunity for all participants), does NOT constitute a condition for participation, NOR does it constitute any advantage in the final evaluation. The selection of the winner by Vibram will be the result of an unquestionable evaluation and it will take into account originality, feasibility, compliance with the brand and with the other evaluation criteria specified in the brief. For the duration of the option right, the Sponsor offers an extra chance to all participants setting a price of € 2,000 (two-thousand) for the purchase of the license for the economical exploitation of the projects considered interesting even if not mentioned among the winning proposals.